On Wednesday, Kenneth G. Munn, 34, of San Luis Obispo was driving on the highway near Old Stage Coach Road when he crashed. Munn, who suffered minor lacerations, was not intoxicated when he crashed his vehicle. 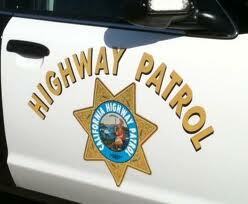 Nevertheless, CHP officers arrested Munn on a felony warrant unrelated to the crash. Munn is charged with a single count of violating his parole, according to the San Luis Obispo County Sheriff’s Office website. An investigation into the incident is ongoing. Munn remains in the San Luis Obispo County Jail with his bail set at an undisclosed amount. Check out the picture of the car and tell me how this guy gets out with minor lacerations. Wow! These felons must make deals with the devil. He protects their bodies as long as they continue to reek havoc on society. It explains how they ingest drain cleaner and live, and survive wrecks in which their cars plunge into ravines without a scratch. How bout that theory tedslanders?